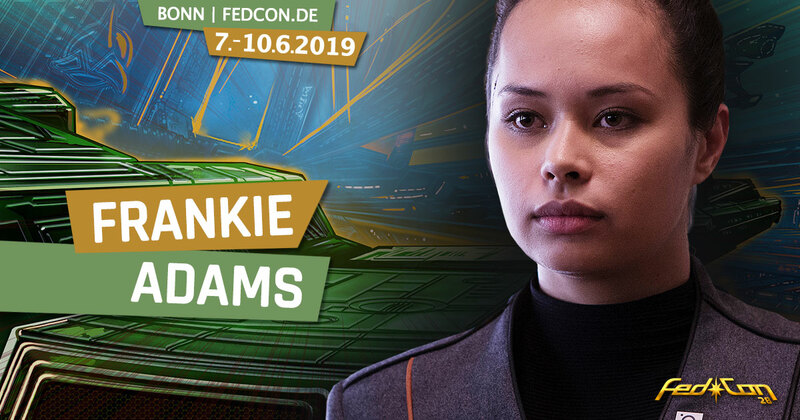 FEDCON - Frankie Adams - the leading actress from The Expanse comes! Since the second season of The Expanse, Frankie Adams has enriched the cast of the popular science fiction series – and now also the guest cast of FedCon 28, where the New Zealand actress with Samoan roots can be seen as Roberta W. Draper – a soldier of the Mars Marine Corp. Here the artillery sergeant is best known under her nickname “Bobbie”. Before Frankie Adams made her debut in the US production with this leading role in 2017, she gained a lot of acting experience as Ula Levi in the New Zealand soap opera Shortland Street.